Dr. Mark Rhodes sees ENT patients several days a month at Riverwood’s specialty clinic in Aitkin. Common diseases treated include perforated eardrum, hearing loss, vocal cord polyp or cyst, nose and sinus infections, balance disorders, head and neck trauma and thyroid disorders. 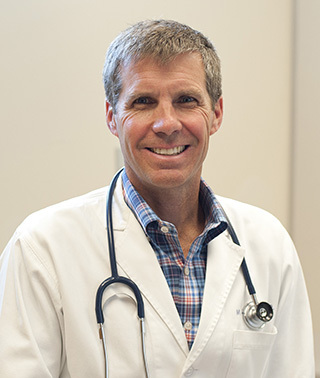 Dr. Rhodes sees patients at Riverwood’s specialty clinic in Aitkin several days a month.